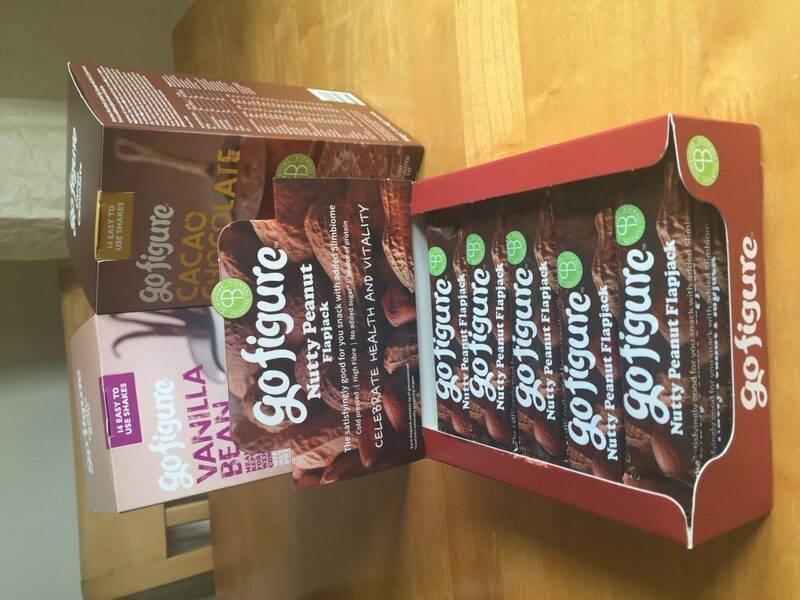 Over the last couple of weeks I have trying out some more diet plans and programs so today I’m going to focus on GoFigure who contacted me to see if I would like to review their diet plan, which contains weight loss shakes and snack bars. At the moment I’m really interested in diet and fitness and more specifically, how easy diet plans and programs can slot into everyday life and be followed on a long-term basis. 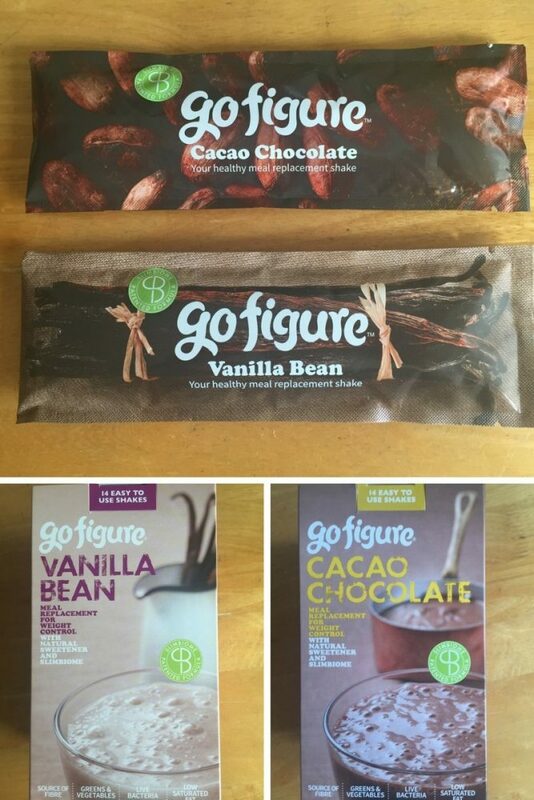 GoFigure is a family business which has created shakes and snack bars designed to aid weight loss. 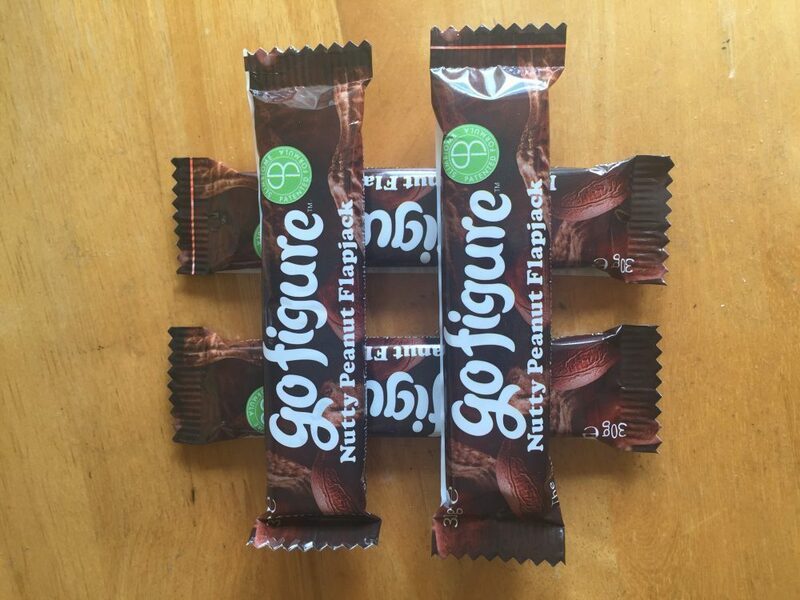 The idea of GoFigure is that you replace 2 meals a day with the shakes, have 2 of the natural flapjack snack bars in between, and then eat a healthy balanced meal for dinner (there are suggestions on the website to help you). The shakes and snack bars contain a patented, scientifically formulated combination of ingredients called Slimbiome which is designed to support weight loss by; promoting the feeling of fullness, promoting a healthy metabolism, and also maintaining blood sugar levels to reduce food cravings. All shakes and snack bars are suitable for vegetarians and contain no GMO, artificial flavours and no added sugar. The shakes are available in 3 flavours; Vanilla Bean, Cacao Chocolate, and Lush Banana. The shakes are packed with vegetables, superfoods and healthy greens and they are the only shakes on the market which contain fat burning MCT oils. Each shake contains 201 calories and you can add them straight to your food diary (if you keep one!) such as MyFitnessPal which is great for someone like me who tracks their entire food intake (obsessively!). I was sent 14 days’ worth of Vanilla Bean and Cacao Chocolate flavoured shakes so I can only comment on these flavours however the shakes themselves tasted really nice. I was surprised by how flavoursome they were and how easy they were to drink. The shakes are slightly thicker than others I have tried however I just added a bit more water to the powder (recommended 250ml) and they were better for me. The only thing I would say is that they have quite a synthetic smell to them which may put some people off but this is personal preference. 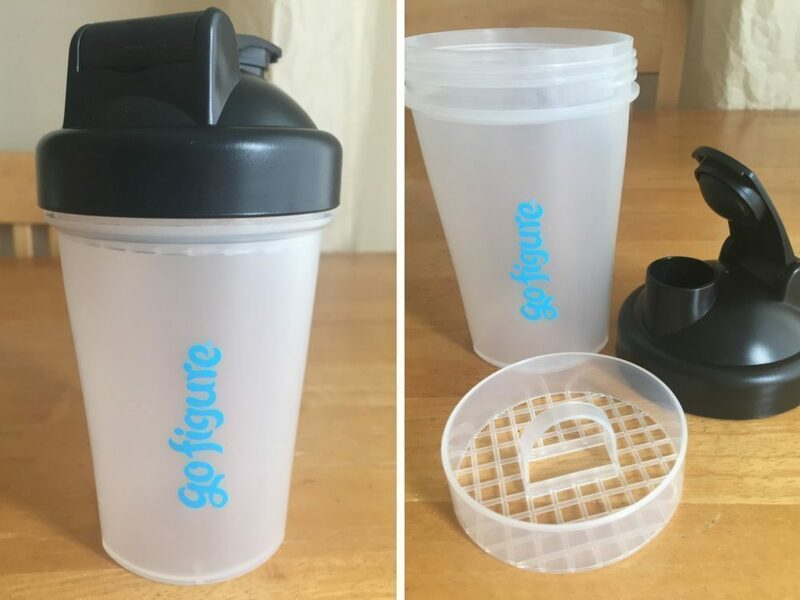 The shakes are easy to make up, just literally add 250ml of water (or more for a smoother texture) to the powder in a shaker and you are good to go! I have to say, the powder mixed better than other branded shakes I have tried previously and I didn’t get any lumps stuck to the shaker which puts me off sometimes. The snack bars are available in 2 flavours; Cacao Orange, and Nutty Peanut. 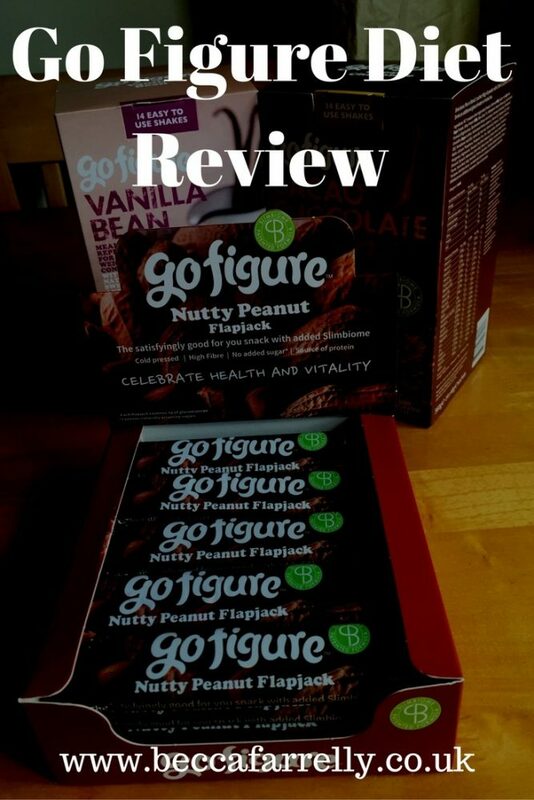 I was sent a box of Nutty Peanut bars as I love nuts at the moment and find them a great source of protein in-between meals. Each bar contains cold pressed fruits, gluten-free oats and seeds, with no added sugar, syrups or fillers. The bars themselves are really tasty and although quite stodgy and sticky (it is advised to drink a glass of water with them), they are exactly what you need to get you through to your next shake or until dinner time. I really liked them and they not only taste good but they filled me up like I hoped they would. Each bar contains 115 calories and again can be tracked through food diaries like MyFitnessPal. I really liked the GoFigure products I tried for the last 2 weeks. I think the shakes are tasty and I find the addition of Slimbiome interesting however my favourite things were the Nutty Peanut snack bars and I would quite happily have at least one a day for the foreseeable! I was also really pleased with my weight loss; 4lbs in the 1st week, and 2lbs in the 2nd week so it definitely works! I wasn’t as hungry as I thought I would be but I’m not sure how long I would want to replace 2 meals a day with shakes for. It is worth also saying that you can have 1 shake a day to maintain your weight too which is good once you have reached your weight loss target. The shakes are good value at 14 days’ worth for £22.50 and a box of 30 snack bars is £32.99 which isn’t going to break the bank. 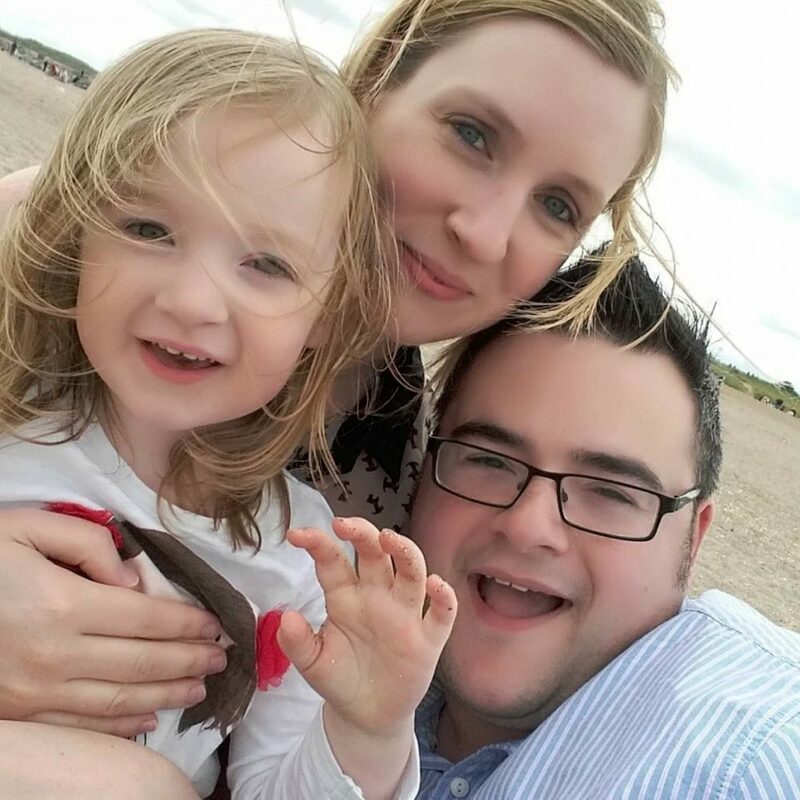 Standard delivery is £5.95 and there are offers on at the time of writing this review. I also like the fact that there is trial one week packs available so you can see how you get on with it. I would definitely use GoFigure again and I think it would be a great diet plan for losing weight ready for a special event or a holiday.